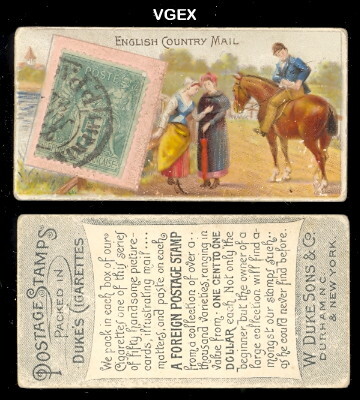 Dukes Cigarettes N85 Postage Stamps. 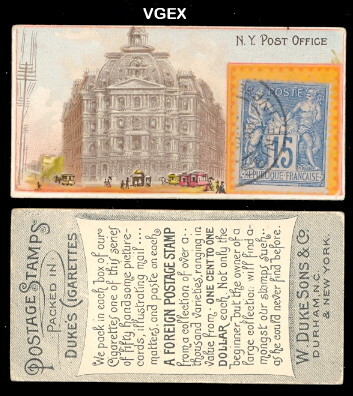 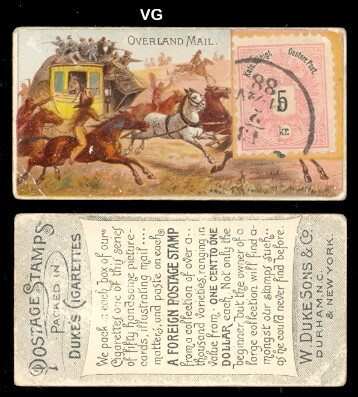 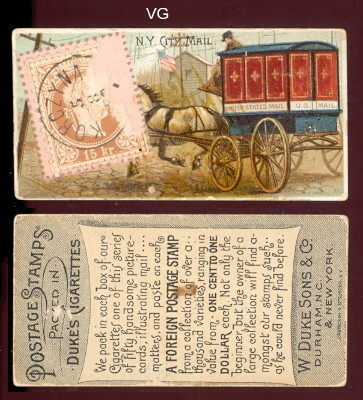 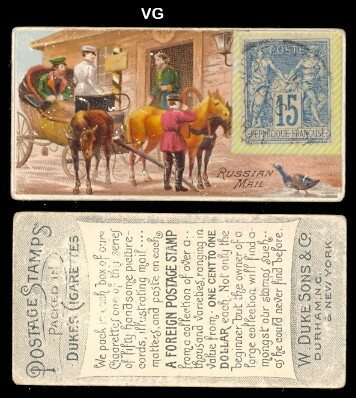 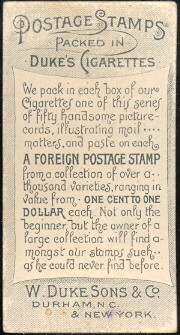 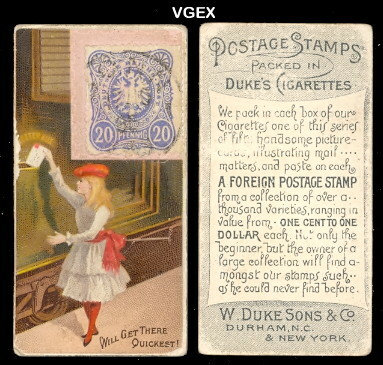 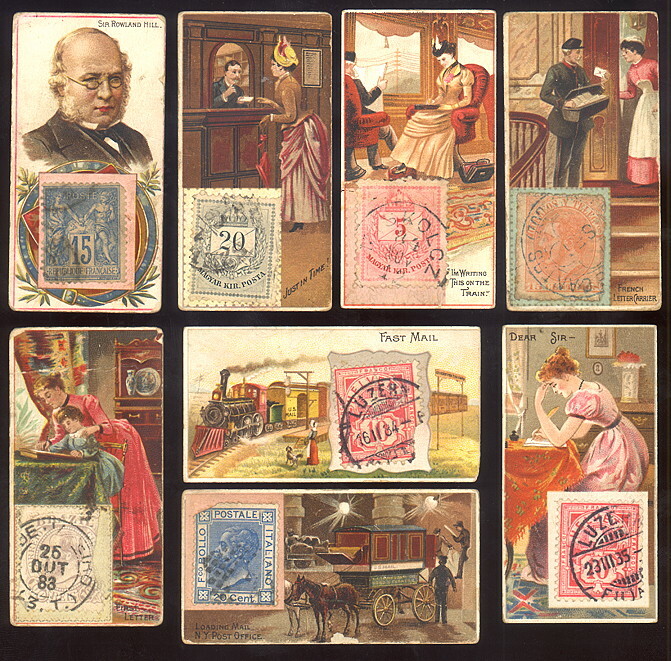 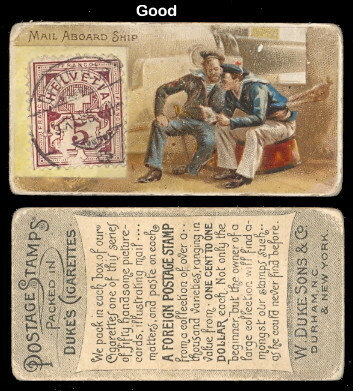 Issued around 1889, have real postage stamps from around the world on the cards. 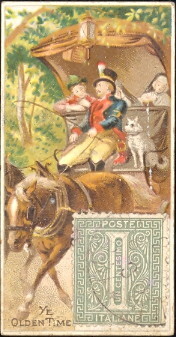 Each picture shows a scene related to sending, delivering, or receiving a letter. 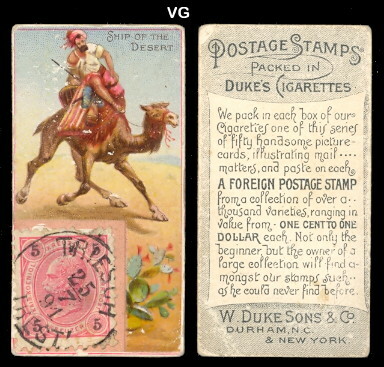 The cards measure 1-7/16" X 2-3/4" and there are 50 in the series. 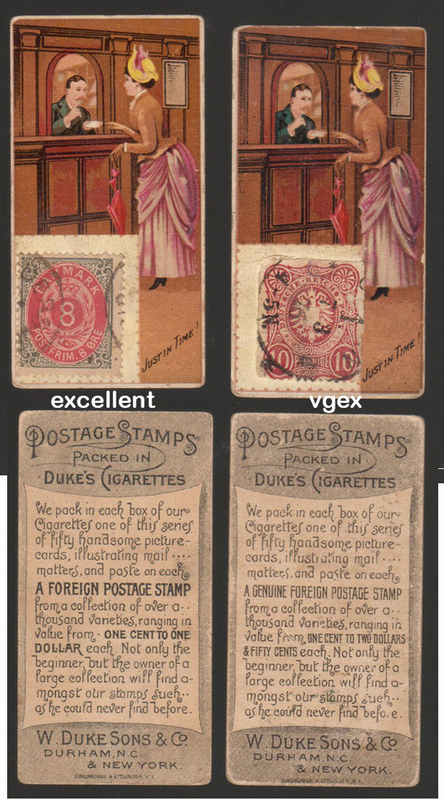 The cards have an unnumbered checklist on the back.